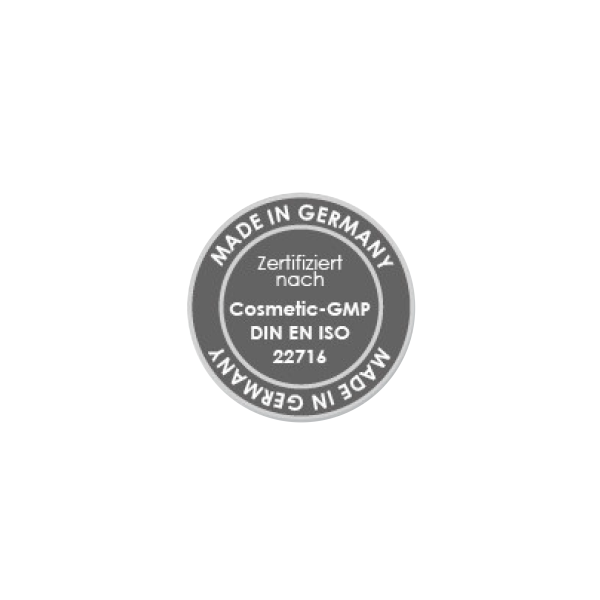 You are here at: Datenschutz Distribution to wholesale only! The data protection officer for the company can be reached at the aforementioned company address or at datenschutz@polystone-chemical.de. - Browser and operating system of the visitor’s end device as well as the name of the access provider used by the visitor. - simplifying and improving administration of the website. The processing is performed explicitly without the purpose of obtaining information about the visitor as an individual. Visitors can send messages to the company through an online contact form. Provision of a valid e-mail address is required in order to be able to receive a response. The requesting party may provide all other information voluntarily. By sending the message through the contact form, the visitor consents to the processing of the data that have been entered. The data are solely processed for the purpose of the execution and response to requests through the contact form. This occurs on the basis of voluntary consent as per Art. 6 para. 1 sentence 1 lit. a) GDPR. The personal information retrieved for the usage of the contact form is automatically deleted once the request has been settled and there are no other reasons for continued processing (e.g. subsequent commissioning of our company). By registering to receive the newsletter the visitor declares their explicit consent to the processing of the personal data provided. The visitor's e-mail address is all that is required to register to receive the newsletter. The legal basis for the processing of the visitor's personal information for purposes of sending newsletters is consent as per Art. 6 para. 1 sentence 1 lit. a) GDPR. The visitor may always unsubscribe from the newsletter. The visitor may unsubscribe by using the special link at the end of the newsletter or by sending an e-mail to vertrieb@polystone-chemical.de. - this is required as per Art. 6 para. 1 sentence 1 lit. b) GDPR to fulfil a contractual relationship with the affected party. Otherwise personal information is not forwarded to third parties. This website uses so-called cookies. These are data packages exchanged between the company website server and the visitor's browser. These are stored by the respective devices (PC, notebook, tablet, smartphone, etc.) when the website is visited. Cookies cannot harm the devices being used. In particular they do not contain any viruses or other malware. Information pertaining to the specific end device being used is stored in the cookies. The company thus cannot obtain any direct knowledge of the identity of the visitor to the website. Most cookies are accepted by the browsers' standard settings. The browser settings can be set in such a way that cookies are either not accepted by the respective devices, or that a notification is always displayed before a new cookie is installed. However, the deactivation of cookies may prevent optimal usage of all functions of the website. The usage of cookies serves to make usage of the company's website more comfortable. For example, session cookies can be used to determine whether the visitor has already visited specific pages of the website before. These session cookies are deleted immediately after you leave the website. Temporary cookies are used to improve user-friendliness. They are stored in the user's device for a set period of time. Upon revisiting the website it is automatically detected that the visitor has already visited the site before, and which information and settings were entered so that they do not have to be repeated. The usage of cookies also serves to analyse visits to the website for statistical purposes and to improve the service. These cookies allow for automatic detection of return visitors. The cookies are deleted automatically after a specific period of time. The information processed by cookies is justified for the aforementioned purposes for protecting the justified interests of the company as per Art. 6 para. 1 sentence 1 lit. f) GDPR. of the level of protection as per Art. 45 para. 3 GDPR, Information about which suitable guarantees as per Art. 46 para. 2 GDPR are in place to protect the personal information. If you determine that we possess incorrect personal information about you, you may request the immediate correction of this incorrect information. You may also request the completion of any incomplete personal information about you. - The personal information is no longer required for the purposes for which it was processed. - The basis of justification of the processing was solely your consent, which you have revoked. - You have objected to the processing of your personal information that we have made public. that take priority over this. - Your personal information was processed illegally. - The deletion of the personal information is required to fulfil a legal obligation to which we are bound. There is no claim to deletion if the deletion is not possible, or is only possible with disproportionately great effort, in the event of legal, non-automated data processing due to the special type of storage thereof and your interest in deletion is low. In this case the processing will be limited in place of the information being deleted. to assess the accuracy of the information. - The processing is illegal and you request the limitation of the usage of your personal information in place of deletion. - We no longer require your personal information for processing purposes, but you require it to assert, exercise, or defend legal claims. our justified reasons outweigh yours. Limitation of processing means that the personal information is only processed with your consent or to assert, exercise, or defend legal claims, or to protect the rights of another natural or legal person, or for reasons of important public interest. We are obligated to notify you before we suspend the limitation. You have a right to the transferability of data provided the processing is based on your consent (Art. 6 para. 1 sentence 1 lit. a) or Art. 9 para. 2 lit. a) GDPR) or on a contract to which you are a party and the processing occurs through automated processes. In this event the right to transferability of data entails the following rights, provided the rights and freedoms of other individuals are not hereby impaired: You have the right to request that we send you the personal information that you have provided us in a structured, common, and machine-readable format. You have the right to disclose this information to another responsible party without our involvement. If technically feasible, you may request that we forward your personal information directly to another responsible party. If the processing is based on Art. 6 para. 1 sentence 1 lit. e) GDPR (fulfilment of a task in the public interest or in the exercising of public authority) or Art. 6 para. 1 sentence 1 lit. f) GDPR (justified interest of the responsible party or a third party), you have the right to appeal the processing of your personal information at any time for reasons stemming from your specific situation. This also applies to profiling based on Art. 6 para. 1 sentence 1 lit. e) or lit. f) GDPR. After you have exercised the right to objection we will no longer process your personal information unless we can verify compulsory, defensible reasons for the processing that outweigh your interests, rights and freedoms, or the processing serves to assert, exercise, or defend legal claims. You may always file an objection to the processing of your personal information for direct marketing purposes. This also applies to profiling associated with such direct marketing. After you have exercised this right to objection we will no longer use the respective personal information for purposes of direct marketing. You have the right to revoke your consent at any time with effect for the future. The revocation of consent may be disclosed by telephone, e-mail, fax, or our mailing address without any forms. Revocation does not affect the legality of the data processing that occurred before revocation of consent on the basis of said consent. After receipt of the revocation, the data processing that was solely based on your consent will cease. If you feel that the processing of your personal information is illegal, you may file a complaint with a data protection supervisory authority responsible for your location of residence or employment, or for the location of the alleged violation. "This website uses Google Analytics, a web analysis service from Google Inc., ("Google"). Google Analytics uses so-called cookies, text files that are stored on your computer and that facilitate analysis of your usage of the website. The information about your usage of this website created by the cookie is usually transferred to a Google server in the USA and stored there. However, in the event that IP anonymisation is activated on this website, Google will first truncate your IP address in member states of the European Union or other signatory states of the Agreement on the European Economic Area. Only in exceptional cases will your full IP address be sent to a Google server in the USA and truncated there. At the website administrator's request Google will use this information to evaluate your usage of the website, to compile reports on website activities for the website administrator, and to render other services associated with website and internet usage. Google will not consolidate the IP address provided for purposes of Google Analytics with other data. You can prevent the storage of cookies via a corresponding setting in your browser software, although you may not be able to optimally use all functions of this website if you do so. You may also prevent the documentation of the data created by the cookie and concerning your usage of the website (incl. your IP address) by Google and the processing thereof by Google by downloading and installing the browser plug-in available at the following link: http://tools.google.com/dlpage/gaoptout?hl=de"
IP address, (starting) address entered in the route plan. We have no influence over the further processing and usage of the data by Google, and are thus unable to accept any responsibility for it. You can learn about the purpose and scope of the retrieval of data and the further processing and usage of the data by Google, as well as your rights and possible settings for protecting your privacy in this regard, in Google’s data protection statements (https://policies.google.com/privacy?hl=de). By using our website you declare your consent to the processing of your retrieved data by Google Maps Route Planner in the manner described above and for the aforementioned purpose.